What healthy habits are you proud of? These are your actual, consistent habits contributing toward overall health and wellness. Think, grab paper and pen and write them down. Great! Now, on the same piece of paper, make another list: healthy behaviors we want to make into habits-a healthy habits wish list. These are the choices we wish we made more often, but for whatever reason, don’t. Good. Now, let’s evaluate. What’s realistic and most important? It varies between individuals. None of us are perfect and if we only focus on what we aren’t doing, we may get discouraged. Don’t! We need to want to do these healthy habits. Remember the habit loop, it involves creating a craving for a goal. So when evaluating your healthy habits wish list, don’t try to do everything, pick things you’ll actually enjoy and want to do! Here are two enjoyable wellness habits you may want to add to your wish list. The first solidified what many of us already know: helping others helps us. Researchers analyzed data from more than 40,000 European citizens and found those who volunteer had better health outcomes. This is already something many of us feel when serving others. These studies simply hammer home our subjective feelings. One of the author’s assessments hit the nail on the head as to why this occurs. “Volunteering increases physical and cognitive activity, which protects against functional decline and dementia in old age.” Yes, it does! She also attributed the lowered stress and inflammation and increased socialization which further aids mind wellness. Another wishful habit which hopefully many of us took advantage of last weekend is getting some sun. It’s understood too much ultraviolet radiation is detrimental to our skin and can lead to skin cancer. However, sunshine provides needed Vitamin D. A Vitamin D deficiency includes increased cardiovascular risk, cognitive impairment in older adults and some cancers. Thus, we need to balance the health risks of too much sun versus not enough Vitamin D.
After looking at data and also assessing for ultraviolet radiation issues, the study concluded those living in more Northern climates may need to increase their Vitamin D intake through diet or supplements. The good news is some of the foods highest in Vitamin D are also great for your brain, like tuna, mackerel, and salmon! Other foods enriched with Vitamin D, such as some dairy products, orange juice, soy milk, and whole grain cereals are also great choices. Coincidence? Probably not. Getting some Vitamin D via a bit more sunshine or eating fortified brain foods and volunteering provide multiple wellness benefits. These are wishful habits I’d like to move over into my actual list. How about you? Chime in with a comment below or on social media about these or other healthy habits you’re actually implementing or wish to add to your daily wellness. I’d love to encourage you! 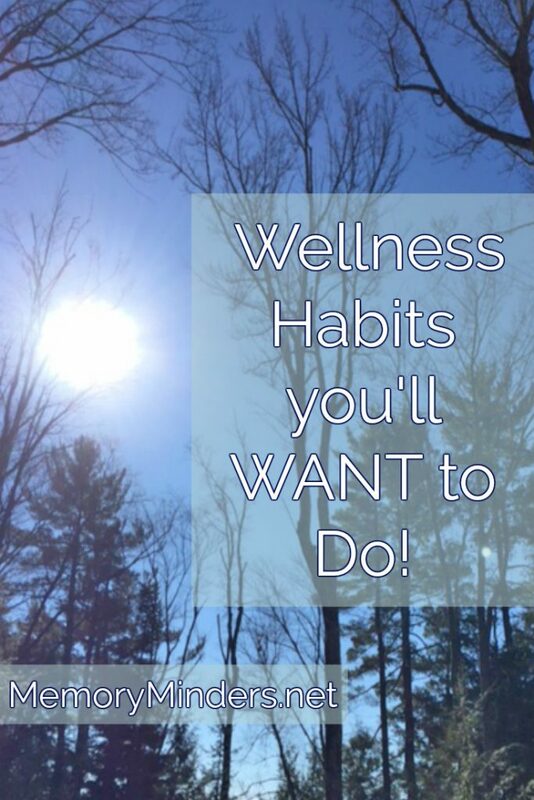 Here’s to enhancing wellness through the power of habits!